There are plenty of budget airlines flying from Hong Kong, and the city has become a hub for cheap regional flights in recent years. Hong Kong's location means it is four hours or less from Thailand, Taiwan, Cambodia, Myanmar, Vietnam, the Philippines, Singapore, and much of China. There are also budget routes to Japan and Australia. Below you'll find a list of the discount budget airlines flying from Hong Kong and a profile of the routes they serve. As ever, the normal rules of booking with a budget airline apply; book early and cut down on the baggage. If you're flying into China, it's well worth considering traveling up to Shenzhen airport. It's only an hour away by train and internal flights in China are far cheaper. 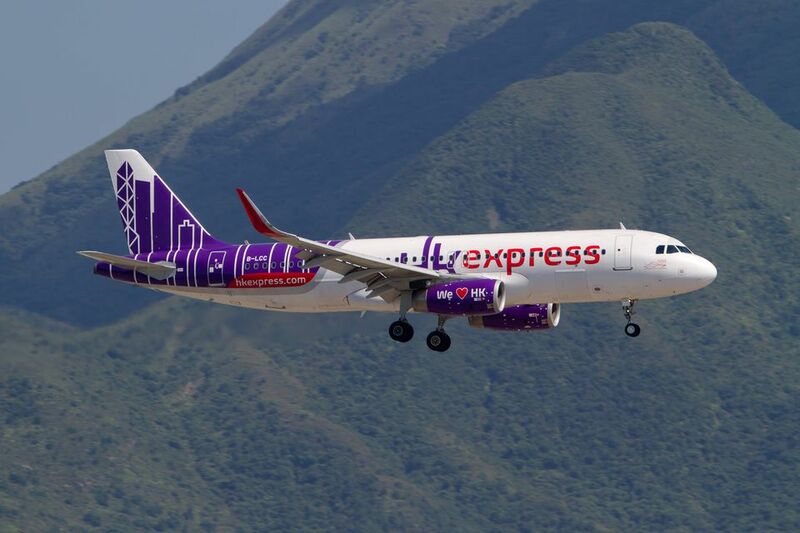 HK Express - Best for budget and to go everywhere: Hong Kong's only homegrown discount airline doesn't always match up to the competition in the low fares stakes, but then it isn't wholly no frills either. It flies into Tokyo's main airport, rather than the out of town budget equivalent for example. With more than a dozen routes to Thailand, Vietnam, Myanmar, Japan, Taiwan, Korea, and even Guam, it's a good place to start your budget flight research. Tigerair - Best for Singapore, Thailand, and India: Lots of destinations from one of the best-established budget airlines in the region. Tigerair competes with Jetstar for the cheapest tickets to Singapore, while also offering direct connections to half a dozen Thai destinations, most major Australian cities and an increasing number of Indian routes. Jetstar - Best for Singapore: The Australian budget carrier has half a dozen connections to Thailand, Vietnam and other points in South East Asia. But it's best for cheap flights to Singapore, and plentiful onward connections to regional Australian cities. Cebu Pacific - Best for the Philippines: Weekend breaks to the Philippines are popular for Hong Kongers and the budget option is Cebu Pacific. You'll find connections to Manila, as well as the best beaches in the country and flights that are usually well timed on Friday nights and returns on Sunday morning. Peach - Best for Japan: Your ticket to Osaka, and occasionally other Japanese cities. If you can master Peach's horribly designed website, then you'll be rewarded with budget prices to the land of the rising sun. Air Asia - Best for Malaysia: One of the biggest budget airlines in Asia hasn't quite cracked Hong Kong, and the number of routes available tends to fluctuate. You'll often find Thailand and Cambodia on the list, but its best connections are back home to Malaysia. It flies to multiple cities in the country, from where you'll find cheap onward connections to Australia. Hong Kong Airlines - Best for Beijing: It's difficult to secure budget seats to Beijing, and while Hong Kong Airlines isn't a budget airline it usually offers the cheapest prices. Hong Kong Airlines also offers some bargain long-haul routes, including New Zealand, Australia, and Canada. Spring Airlines - Best for Shanghai: China's only true discount airline is based in Shanghai. You'll find lots of cheap tickets between Hong Kong and Shanghai, especially midweek, and from there dozens of connections on to the rest of the country. Expect a truly budget experience; from chaotic queues to staff who struggle to speak English. Cathay Dragon - Best if you have a bigger budget: Once the best budget option around, what was once Dragonair has been rebranded by Cathay Pacific as Cathay Dragon. It's no longer really a budget carrier; instead, it operates regional flights to dozens of Chinese cities. The wide range of destinations means it will be your most convenient option if flying to mid-sized Chinese cities. However, you'll find cheaper regional connections in nearby Shenzhen and Guangzhou airports, while Hong Kong Airlines and Spring Airlines above are usually cheaper for flights to Beijing and Shanghai. Hong Kong has no real long-haul budget airlines apart from those destinations offered by Hong Kong Airlines. For long-haul savings look to fly to and from Guangzhou and Shenzhen. China Southern: More a bargain than strictly budget, China Southern serves an increasing number of long-haul destinations, including destinations in the US and Europe. China Eastern: Fewer direct connections than Southern, with most flights stopping in Shanghai, but there are cheap fares to the States and Europe.